THERE was no need for Filipinos to cheer the assurance made by US State Secretary Mike Pompeo during his March 1 visit that the United States would defend the Philippines if any aggressor, China not excluded, attacked it. He was just repeating an old promise. Since a Chinese armed attack is not likely to occur under the watch of President Duterte, what Manila needs is US back-channeling or its pressuring Beijing to stop grabbing, building up and militarizing features in Philippine maritime areas. Pompeo’s assurance of retaliation under the 1951 Mutual Defense Treaty has been unduly over-interpreted by some sectors in Manila dreaming of US military action putting an end to Chinese control of Panatag (Scarborough) shoal 120 nautical miles off the Zambales coast. There is no provision in the MDT for taking warlike steps against China’s ongoing low-intensity activities in the West Philippine Sea or invoking the treaty to recover strategically located Panatag from Chinese forces holding it for some ulterior military use. Under the 635-word MDT, the US is committed to spring into retaliatory action only in the event of an external “armed attack” on Philippine (and/or American) territory, military personnel, naval vessel or aircraft. Short of that, it is not clear what the Philippines can expect from its treaty partner. But Foreign Secretary Teddy Locsin Jr. was quick to tweet that the vagueness was the best deterrent for a would-be aggressor. Diplomatic sources familiar with the MDT talks conducted in the Cold War ambience of the early 1950s have told us that the negotiators had in mind Communist China as the potential aggressor in these parts. Present-day Chinese coast guard firing water cannons on Filipino fishermen or seizing their choice catch are not engaged, literally, in an “armed attack.” And Filipino fishermen are not members of the armed forces, nor are their fishing boats naval vessels. So the MDT may not be invoked? Assuming the US is itching to engage China in Philippine waters – although we see that as far-fetched — it would have to bait the Chinese into firing a shot, or contrive an “armed attack” scenario in full view of a watching world. As we have been saying here since 2016, Panatag (Bajo de Masinloc in Spanish times, Huángyán Dao to the Chinese, and Scarborough to most other seafarers) is not sovereign Philippine territory that must be defended or wrested back from invaders. The July 2016 ruling of the Permanent Court of Arbitration at The Hague classified Panatag as “high-tide features” (rocks), which generate only a 12-nm territorial sea, not a 200-nm exclusive economic zone or a more extensive continental shelf. It turned out that neither China nor the Philippines owns those rocks. The tribunal did not resolve the sovereign question of ownership or possession, leaving Panatag – lying closest to the Philippines — as the communal fishing ground of neighbors, including Chinese, Filipinos and Vietnamese. As a “rock” is not part of the sea, it could be acquired. Interestingly, one mode of acquisition is by conquest and occupation, but the MDT would not be the proper tool for a forceful takeover as imagined by quarters emboldened by Pompeo’s reassurance. What we kibitzers can only speculate about is if Pompeo had told Duterte of a contingency for the possible use of force – under the Mutual Defense Treaty — if China does not behave. But even if the US gave such a hint, we doubt if Duterte would play along. There is no reason to replace the Estrella-Pantaleon bridge other than to make money, lots of it. The bridge is only eight years old and costs P300 million. The new four-lane bridge to be built by the Chinese will cost P1.22 billion or four times more. Corruption at the DPWH has continued in spite of claims of President Duterte that he has a crusade against corruption. What is the point of building a four-lane bridge when the road on the Mandaluyong side is only two lanes? This reminds me of Dugong Bridge which was demolished in 2012 and widened to four lanes. Yet the El 98 National Road was only two lanes. We at InfraWatch filed a case against the DPWH, but nothing happened because Ombudsman Conchita Carpio Morales protected the corrupt people of then President Noynoy Aquino. There are three old Bailey bridges along the 4-6-lane Governor’s Drive in Cavite from Carmona to General Trias. When these bridges were widened, the Bailey bridges were not touched or removed. The DPWH just added one lane on both sides of the highway to make four lanes! The existing two-lane concrete bridges were widened by simply adding a lane on both sides. The same was done with the bridges along SLEX from Biñan to Sta. 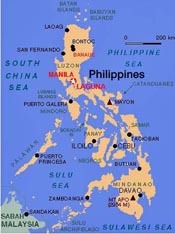 Rosa in Laguna. The existing bridges were not removed or destroyed as in the Dugong bridge in Iloilo.